VANCOUVER (NEWS1130) – The 2010 Olympics have long been over, but Nike the Greek goddess of victory has finally landed Vancouver. Dozens of people gathered at the corner of Thurlow and Cordova for the official unveiling of the statue on Saturday afternoon. The statue is a gift from the ancient city of Olympia, and was designed by a renowned Greek sculptor Pavlos Angelos Kougiomtzis. 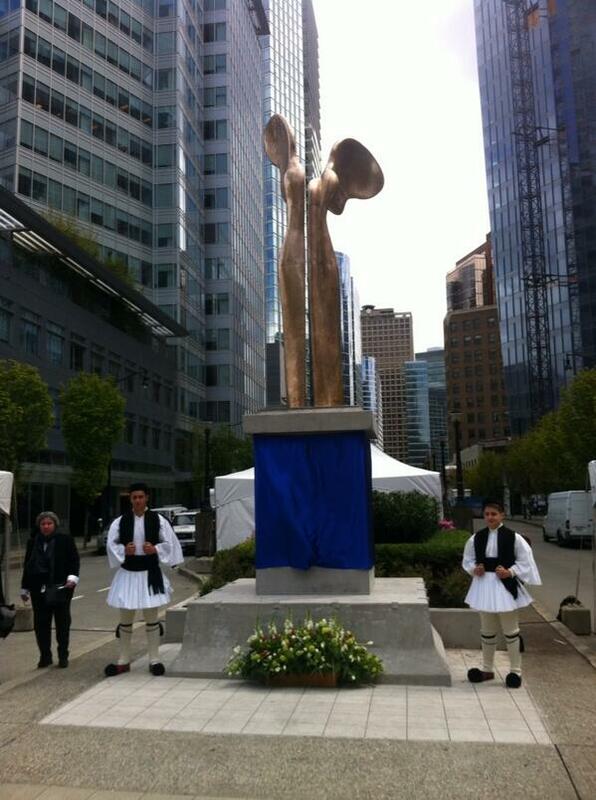 The Consul General for Greece, Ilias Kremmydas, says the new statue represents a triple victory. Why did it take so long to get to Vancouver? Vancouver Mayor Gregor Robertson says the main reason for the delay is the city’s desire to place it near Jack Poole Plaza. The statue’s permanent home is steps away from the cauldron. This article originally appeared on News1130 on April 26.